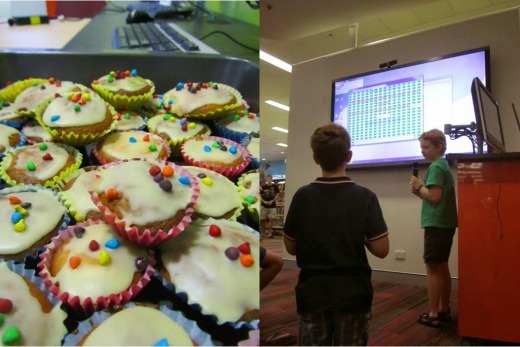 Sunnybank Hills Library had its last session of CoderDojo for Term 1 on Saturday and there were robots, Scratch creations, games, cupcakes, cupcakes and more cupcakes! We had some excellent demonstrations from the kids, showing off what they were able to create over the eight sessions. Left: Cupcakes courtesy of one of the wonderful parents of our participant. A big thank you to all our wonderful mentors at Sunnybank Hills Library who have come to the sessions and have helped the kids discover a new world of coding. It’s so great to see the kids explore and create, using their creativity and imagination. Sessions at Sunnybank Hills Library kick off again in Term 2. Participant registrations have sold out – however we still need a few more mentors. Register now and teach kids to code. 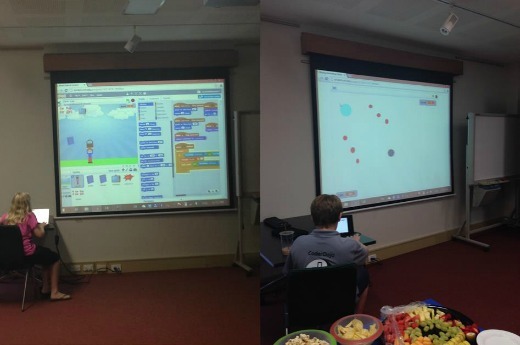 Mt Ommaney also had its last session of CoderDojo for Term 1 on Saturday and they certainly finished off the sessions with style with a CoderDojo Brisbane party! There were lots of cupcakes, fruits, chips, lollies, biscuits, popcorn and even baklava for the parents! We had so many excellent demonstrations from the kids including Holly’s bucket game as well as Caelan’s ‘Bounce Around’ game. The kids loved Caelan’s game, trying to beat each other high scores. Why not give it a go and see what level you can get up to? 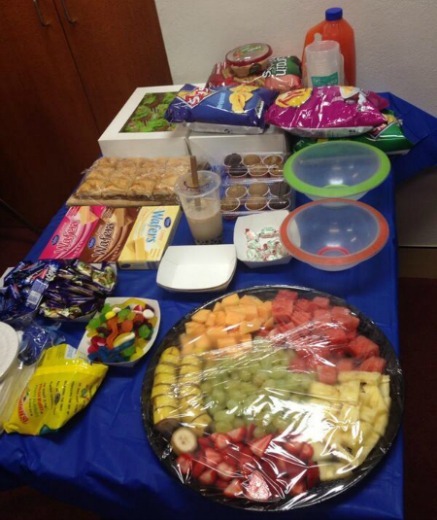 Party time at CoderDojo Mt Ommaney Library! A big thank you to all our mentors at Mt Ommaney Library who organised the party and have come to each session and generously helped the kids learn how to code. You have all done such a fantastic job at Mt Ommaney Library and have all brought such high levels of energy and enthusiasm to each session. Sessions at Mt Ommaney Library kick off again in Term 3. To keep up to date on when registrations open, be sure to register to our website www.coderdojobrisbane.com.au or follow us on Twitter and Facebook. A big, big thank you to all our mentors who have volunteered at all locations throughout Term 1, we couldn’t have done it without all of your support. We would love to have you back at our future sessions and we look forward to catching up with you all then and seeing what else the kids can create! Remember to keep up to date with CoderDojo Brisbane through our website, Twitter and Facebook to find out when registrations open for Term 3 & 4. If you loved mentoring at CoderDojo Brisbane please spread the word! We are always on the lookout for more mentors to inspire the next generation and teach kids to code.